Jan. 19-20, 2009: Gotta hand it to the new media tech whizzes to leverage Shepard Fairey’s now famous poster art into a DIY freebie keepsake that’s a heckuvalotta fun. I guess I fall into the ‘girls just wanna have fun’ Cindi Lauper retro mode with a wink and a nod that it’s not MEANT to be media analysis fodder with any deep moral imperative about Big Brother or ‘what’s to come’ in an era of change. It’s just FUN! Why? Because WE can do it! Try it, kids! ‘Old media thinking’ would have us all analyzing the use fees and graphic rights and who owns what…New media is all about open-source digital sharing and improving on concepts and ideas with humorous tweaks and imaginative results (providing no one gets hurt, displaced or steps on the brand entirely). I suppose that’s an ‘old media’ question…in a new era of change. More on THAT tomorrow…Meanwhile, I think I’ll create another one! Hat tip to Michele Martin and Beth Kanter in the nonprofit sphere for pointing me to the site itself and clearing up the mystery of the little icons as they multiplied like rabbits…Oblige! —Hulu : Will be streaming live, Fox.com will also be using Hulu’s stream. —C-Span : Washington D.C.’s video standby will have four live feeds to choose from. —CNN.com : Partnering with Facebook so you can see your friends’ status updates while watching. —Current TV : Will add a Twitterstream to its coverage. —Ustream.tv : This stream will also be available on your iPhone, great for those along the parade route too far away to see the main stage. —Starbucks and movie theaters: For those who cannot make it to Washington, MSNBC is hosting screenings of the inauguration in movie theaters and Starbucks across the country (although it looks as though these are already sold out). — Joost is also broadcasting the inauguration live. —Obama Girl is streaming her coverage on Stickam. —Twitter: Just search for “inauguration” or “Obama” . The chatter has already started. —NPR Inauguration Report : Run by NPR’s social media desk, it will be collecting dispatches from spectators via Twitter, Flicr, YouTube, and text message. All Tweets or text messages that start with “#inaug09” or “#dctrip09” will be included in NPR’s feed, as well as Flickr photos and YouTube videos tagged “inaug09” or “dctrip09.” There are also an accompanying iPhone and Android apps called IR09, Inauguration Report 2009 (more details here ). —CNN/Microsoft 3D Photosynth : People at the inauguration can upload their photos and Microosft will combine them into a 3D panoramic Photosynth (more details here ). —Where Were You? : A video contest sponsored by Memelabs that will let people share where they were on this historic day. —Inauguration Report 2009: Submit your own report to NPR with text, photos, or audio. Reports post straight to NPR’s Inauguration feed (see above). —PointAbout 2009 Presidential Inauguration Guide: Free app with a countdown to the inauguration, distance to the inauguration steps, and lets you navigate Washington, D.C. with maps of public transport, parking, free WiFi zones, and a Zagat’s restaurant guide for the city. —CrashTheInauguration (same as above, but on your iPhone). —PolitFact’s Obameter : Obama made more than 500 promises during the election campaign. Track how many he keeps with the Obameter. 1-20 Update: More from TechCrunch; here’s their update on which ones work well. Finally, here’s a cool ‘verbal-linguistic’ ditty of the most common words uttered in the campaign, turned into a visual graphic depiction from neoformix. 1-20 Update AGAIN: I’m watching the CNN Live/Facebook stream and duly impressed with the media seamlessness in ‘you are there’ mode. I think the international and muslim world/middle east sites will make for interesting exploration too…In addition to the usual suspects: New York Times and Washington Post etc. Here ya go: Al Jazeera English and Livestation (International feeds from Al Jazeera, C-Span, BBC, euronews, France 24, Russia Today). I’d like to hear stories from the various kids at different schools across the country to hear how (or if?) this was incorporated into the curriculum for the day? TV, computer projector via LCD screen, discussion and print newspapers? Pls. chime in! I have a huge post planned for today but can’t seem to pull myself away from all of the media coverage and student curriculum tidbits that keep coming in to me…So I think I’ll keep listing sources above rather than start anew! I’m pretty amazed that the media has been so seamless and I’ve got multiple tabs open reading the POV (point of view) internationally and regionally about the live streams and the feedback about all the inaugural hoopla. Most of the criticism is swirling around the big bucks going into the events vs. toward the debt problems, so there are lots of financial chatter forums…but the energy, hope and promise of youth voices trump any power whining partisanship and adult negativity, which is refreshing in itself. “Cisco, Sprint, Exxon Mobil and Vestas Wind Systems have all signed on as integrated sponsors for the inauguration coverage on CNN and CNN.com, with more than 20 additional advertisers purchasing airtime on TV throughout the day and 18 advertisers buying ads online. CNN’s event-based sponsorship strategy is mirrored by MTV and BET, which have recruited sponsors such as Verizon, Target and Procter & Gamble for their inauguration coverage. But it’s also markedly different from that of its main competitor, Fox News, which recently told Ad Age sibling TV Week its plans to focus its sales and marketing efforts on three new shows launching later this month rather than one day of inauguration coverage. MSNBC, which like CNN experienced its highest-rated year among adults 25 to 54, has also sold out its inaugural sponsorship packages. Overall 2008 was a banner year for the cable news networks, which gained their largest share of news coverage against their broadcast competitors, particularly among the key advertiser demographics of 18 to 49 and 25 to 54. Fox finished the year with an average of 497,000 adults 25 to 54 in prime time. CNN was No. 2, with an average 455,000 viewers in the demo, followed by MSNBC, with 369,000. Thank you for being part of the Obamicon.Me phenomenon. We knew we had a fun idea when it hit us, but we had no idea we’d get this kind of response. In less than two weeks, we’ve had millions of page views and nearly 200,000 Obamicons have been created–and activity grows by the hour. If you haven’t visited the site lately, you may not know about a few new features we’ve launched or about a special offer from our partner, Zazzle, that expires tonight. 1) Paste has partnered with Zazzle.com to make it possible to put *your Obamicons* on a wide variety of cool products: T-shirts, mugs, postcards, posters, bumper stickers, mousepads, postage stamps, business cards and more! You can customize them and even choose new products with your Obamicon on them. In honor of the inauguration, they are offering a special $4.40 discount on all shirts that expires tonight (to get the discount, use code: 440SHIRTSALE). Just log In to your account and head to the “My Profile” page. Mouse over any of your Obamicons and click the “Order” button to be taken to a page with all the options! 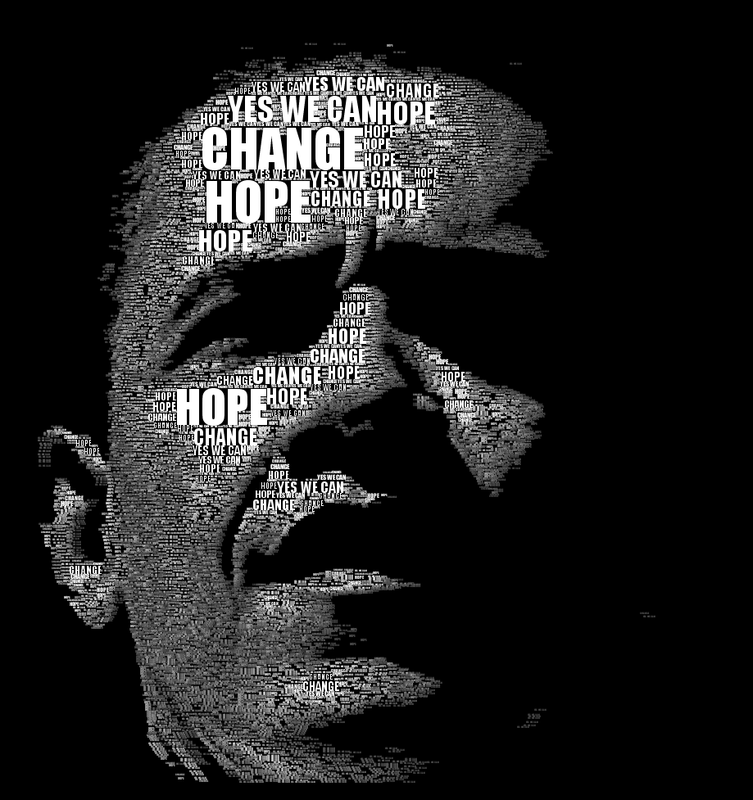 Get started at http://obamicon.me/. 2) We’ve launched a Facebook application that lets you share your Obamicon with your friends. You can even post your Obamicons to your Facebook photo gallery and easily make one your profile pic. The link to ObamiconMe on Facebook is on our website, or you can go there directly: http://apps.facebook.com/obamiconme/. The creativity that our little tool has unleashed will last well beyond the inauguration, and we’ll keep adding features like community tools and new concepts for “webicons.” Stay tuned (or tooned, if you prefer). Finally, please bear with us on the speed of Obamicon.Me. Our Facebook application may be particularly affected. We’ve more than quintupled our capacity since we launched, but each new server is at capacity within a couple minutes of coming onboard. We’ll keep fine-tuning and we should settle into a manageable capacity soon. Your blog has been featured on BestSitePicks.com, http://wellness.bestsitepicks.com/diet-weight-loss/childhood-obesity/. BestSitePicks highlights the very best websites for a variety of topics. Visitors vote links up and down the page, defining a Top 10 list, or weed out “bad links”. To ensure quality, each topic has a maximum of 30 links. With so many ad-filled, SEO-driven blogs on the Web, it is a pleasure to find sites like yours that are quality. We know that a blog is really a labor of love. Our visitors appreciate it! Keep up the good work. Well, gosh, thanks…I’ll look into your site further…meanwhile, thank you for the honor, as I sure agree with you on your last line re: the SEO bit…we’re a nonprofit labor of love indeed. Here’s the article in full…but you’ll have to get the pithy commentary from the Wired Chronicle profs directly on their subs. site…sigh. “In this time of global economic uncertainty, comparisons to the Great Depression abound. As we look back to this time, we should be clear about its lessons. For example, some people may assume that the New Deal fixed the fiscal problems. But as any student of that period knows, it was the Second World War, not the New Deal, that re-primed the economic pump. Still, as wartime production blended into the postwar boom, it did so on a far more stable basis, one enabled by the regulatory framework established by the New Deal: resetting the relationship between government and the private sector, allowing better conditions for workers, and redirecting revolutionary political tendencies back to the center through reform. In fact, many economic historians suggest that the postwar economy was possible only because the New Deal laid this regulatory groundwork. If we forget this lesson, we do so to our peril, lest we miss the opportunity that today’s crisis presents for us to rethink the meaning and role of policy for the future of the United States. Internet policy is not least in this equation, not only because it involves the most innovative and multidimensional technology—significantly affecting law, social norms, and the market—but also because it has the potential to reconfigure policy in a number of interrelated areas such as international relations, commerce, communications, and global democracy. Perhaps the most important yet overlooked lesson from the era of the Great Depression is that it was a time of transition from an agrarian to an industrial global economy. Before reforms in the United States, or similar ones abroad, even the most developed countries did not have the right combinations or complexity of relationships between government and the free market to order industrial production on an international scale. From this perspective, we gain a clearer understanding of what animated the grand ideological (communism versus capitalism) and political (colonialism versus independence) conflicts of the twentieth century. At the end of the Second World War, the emergence of the once-maligned “welfare state” created a broader foundation for modern industrial production, at least sufficient to realize the hopes of the eighteenth-century democratic revolutions to create a middle-class society. Moreover, this progress offered developing nations a template for social and economic advancement that has guided progress throughout the latter part of the twentieth century. A transition from an industrial to an information economy underpins the current crisis. Global economies neither know nor appreciate how to monetize information, how to align it with traditional forms of financial transactions, instruments, or tax conventions, how to accelerate the production of goods and services on an international scale, or even how to create fair workplaces, conditions, and wage and hour rules in a “flat” world. It is no wonder that the major policy issues of our day—global warming and sustainability, international health care and education, urbanization and overpopulation—overwhelm us. We do not have a framework to wrap our collective minds around an understanding of the issues in connection with each other in order to formulate clear, overarching policy. Most important, we must integrate what currently goes under the label of “Internet policy” into a global perspective on these pressing issues. The following are some of the specific Internet-related policy needs: a coherent, subsidized approach to broadband deployment; the proper implementation of “net-neutrality” rules; electronic surveillance laws that are commensurate with contemporary technologies and that, as a constitutional matter, privilege privacy while respecting appropriate law enforcement measures; intellectual property laws that balance innovation and incentive while considering the requirements of developed and developing areas to have access to cultural material without having to pay premiums to developed countries; and a redefinition of jurisdiction commensurate with the global Internet and corresponding substantive law appropriate to the conflicts that arise in cyberspace. How people around the world communicate, innovate, and create culture on the Internet, together with rules for business and social behavior, will support progressive environmental, health, and education initiatives. In a networked world, everything is up for discussion: from choosing videoconferencing strategies that will reduce the extraordinary fossil fuel emissions created by aviation travel, to establishing global universities that will enable collaborative collections, teaching, learning, and outreach missions, to formulating new market models that will remunerate artists and the delivery of content no matter the medium. We need more thoughtful and complex rules to strike a balance between setting global standards for free speech and respecting local customs. Finally, to accomplish these goals in the United States, we need a new Internet-specific government agency. Modeled on old technologies and outmoded trade practices, the Federal Communications Commission and the Federal Trade Commission, respectively, do not have adequate understanding, scope, or proverbial horsepower to address the multifaceted, complex questions that a global Internet raises today. Questions range from issues related to personal privacy, international diplomacy, and intellectual property based on real property, to new concepts of cyber-dollars woven into the value of user contributions and virtual worlds and the deployment of an evenly monetized global information economy. The United States, as an international leader, must establish neither a “czar for intellectual property” nor a “point person for the Internet” but rather a dedicated federal agency on par with those that exist already populated with people who truly understand the historical significance of this technology and its transformative potential in so many areas, from ideology through education and the global economy. Tracy Mitrano is Director of Information Technology Policy and Computer Policy and Law Programs at Cornell University. TC explains CNN had a peak of 1.3 million simultaneous streams, Akamai reported a peak of 5.4 million simultaneous visitors per minute to the various news sites for which it hosts video, and more than 7 million simultaneous streams. And yes, most of the students watched it on plain ol’ TV not the internet. As always, I don’t think it’s an ‘either/or’ dilemma…just as books won’t vanish, neither will TV…the preferences and ways of accessing media are as unique as the media mavens themselves, n’est ce pas?